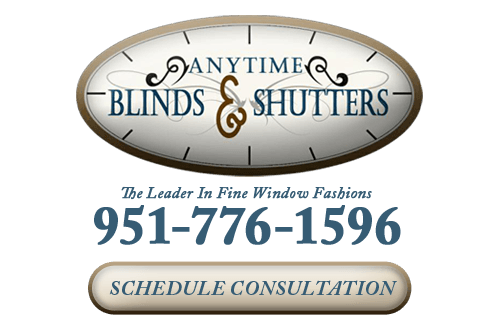 At Anytime Blinds and Shutters we offer a wide variety of window coverings in Riverside, CA. 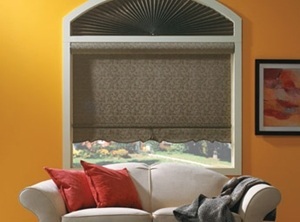 We supply both residential and commercial window coverings, and we specialize in providing motorization options. We are proud to offer the greatest selection of shutters, window blinds, shades and other types of window treatments from top rated brands. Our Riverside shutter company also has an in-house draperies department that can design and create custom drapes for your home or business. Ready to see our window coverings for yourself? Give us a call to set up your free consultation! The window treatments are a hugely important part of your home: they provide you with privacy, comfort, insulation, and light control. Adding new window treatments to your home is one of the most effective and cost-efficient ways to improve the appearance and the comfort of your home, and window shutters are always an excellent option. 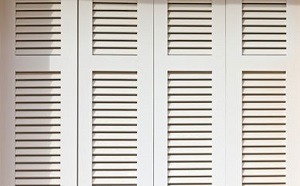 Window shutters will add a sophisticated, classic, and distinctive look to your home, and they can also provide you with a number of more pragmatic benefits. 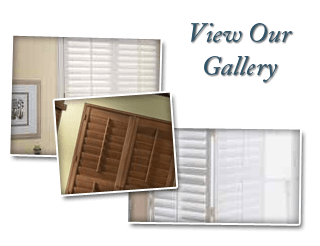 Shutters are one of the most popular window treatments on the market because of their elegant design, great functionality, and distinctive appearance. They're very effective at light control, and they can also add a feeling of sophistication to any room that they're installed in. 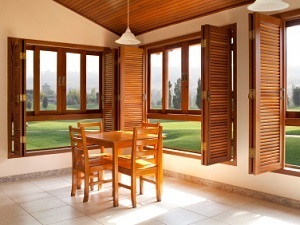 Many homeowners choose not to have wood shutters installed in their homes only because of the care that the material needs to receive, but at Anytime Blinds and Shutters, our polycore shutters can be the perfect option for any Riverside home. 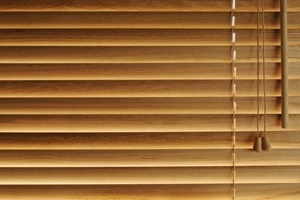 Our company offers a great selection of window blinds made from a variety of materials. You'll love our variety. When it comes to window blinds in the Riverside area of California, we offer some of the most unique styles available from top rated manufacturers. From the material to the color and design, our professionals will help you ensure you get exactly what you want for your home or business. 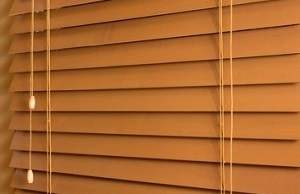 We even have motorization options available for our window blinds. Wood has a naturally appealing look, and it’d be difficult to find many people who would argue against that, which is one of the reasons that wood blinds are one of the best choices there are of window treatments for your Riverside home. Wood can have a natural appearance, be finished, or be painted, so wood blinds can be a great choice for any home decoration style or design. Wood blinds can complement and match with nearly any type of interior décor, and they’ll help to bring out the architectural elements of any space. If you're looking for attractive window blinds made from a durable and high quality material, our faux wood blinds can be an excellent option. Faux wood blinds have all of the great appearance, texture, and feeling of wood, but they'll be able to withstand much more wear and tear and can be kept in a variety of different environments without suffering any damage. The faux wood blinds that our Riverside blinds and experts at Anytime Blinds and Shutters offer are the perfect alternative to wood blinds. 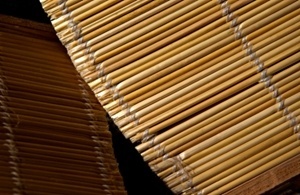 They have the same aesthetic appeal of wood blinds, but they're also much more durable. Shades are the most classic and sophisticated looking window treatments there are, and they’re a great way to enhance the appearance of your home. Whether you need attractive yet affordable shades, or extravagant, luxurious shades, Anytime Blinds and Shutters has the perfect selection for your Riverside home. We can custom design your shades, as well, so we can guarantee that you’ll be able to find the perfect set for your home. Updating the window treatments in your home is a great way to improve and enhance your interior design, and to make your home more attractive and comfortable. One of the most attractive kinds of window treatments that we offer at Anytime Blinds and Shutters are our woven wood shades. These shades are extremely attractive and functional, and they can help you create a casual, relaxing, and natural environment in any room in your home. There are plenty of practical reasons to have draperies and rods installed as your window treatments, but they're most frequently chosen because of their aesthetic elegance and versatility. At Anytime Blinds & shutters, we take a great amount of pride in all of the window treatments that we install, and our draperies and rods are the perfect products for bringing an elegance to any kind of interior design. If you are interested in an estimate for window coverings in Riverside, CA or the surrounding areas, please call 951-776-1596 or complete our online request form.